Police have launched a murder investigation after the body of a woman was found inside a house in Hua Hin. The semi naked body of the 39 year old woman was discovered inside a house in a Hin Lek Fai area on Saturday. Police said the woman had been stabbed in the neck 7 times. 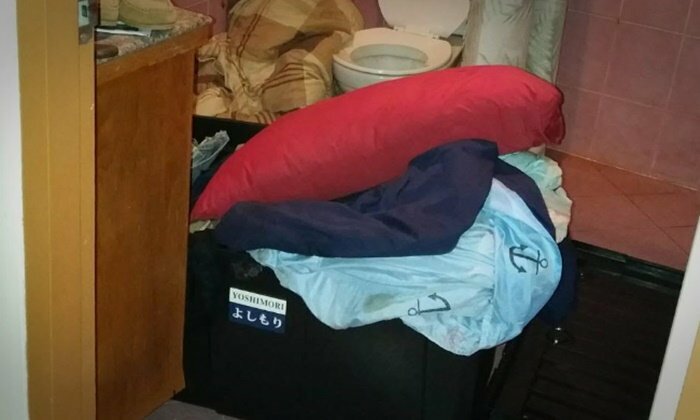 Her body was then stuffed inside a black plastic box, which was found in the bathroom. The woman is believed to have been dead for about 3 days. Police said the woman, whose black Chevrolet Sonic car was found parked outside the property, had been reported missing by relatives. Neighbours reported seeing a two men and a woman arriving at the house in a white car in the days prior to the discovery of the woman’s body. A man was also seen jumping over a wall at the property and getting on a motorbike. Neighbors said they contacted police after smelling an odour coming from the property.